My son loves to help with everything there is about deer hunting, from food plots , checking cameras to gettn on a blood trail. 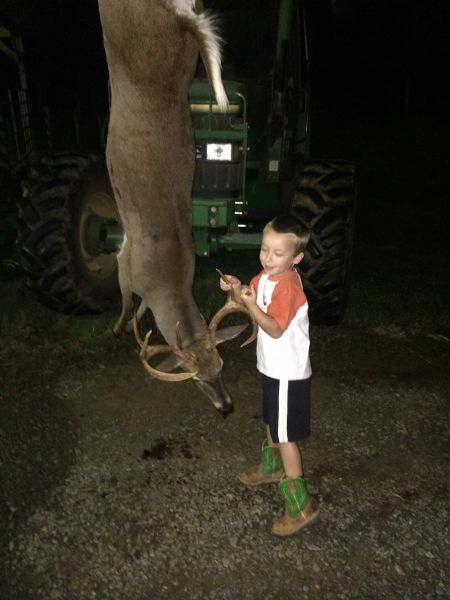 He's only 4 yrs old and asks everyday dad to u post my pic yet so guys not tryn to fill up the web site with my bow kill but he is so proud of him holding the deer by himself this yr so I thought I would let him finally see himself on here holding my buck! !